Having played guitar for the past 24 years, Rob spent years dedicated to mastering his instrument. These well-spent years of woodshedding, and perfecting his technique would pay off handsomely. In 1990, Balducci would go on to win a local contest sponsored by Guitar For The Practicing Musician proclaiming him as New York’s best guitarist. Balducci also furthered his six-string education, earning a degree in Music performance and Theory from Five Towns College. Balducci’s debut CD, 1995’s BALANCE distributed through Sony Music reaped unanimous praise from press and guitar enthusiasts alike heralding this promising new talent. After his debut CD Balance, Rob worked on new material and starting shopping his music to record companies. The new CD was sent to Steve Vai in hopes of Steve wanting to release it on his new record label Favored Nations Entertainment. “Favored Nations was created with the intent of bringing music that’s energetic and emotional, with performances by artists of the highest caliber. The artists signed to Favored Nations are a unique, dedicated breed that have attained the highest performance level on their chosen instruments – Steve Vai “ Vai signed Balducci to Favored Nations and released Mantra and The Color Of Light CDs worldwide. 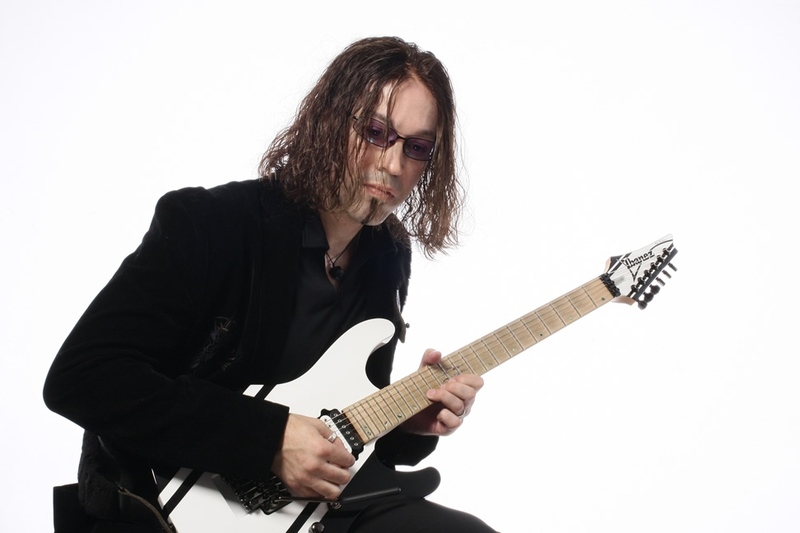 Balducci’s newest Favored Nations CD is titled Violet Horizon and features 15 new tracks of his best work to date with special guest appearances by Guthrie Govan and Dave Weiner. This has been a busy few years, not only has Balducci recorded Violet Horizon , Rob currently finished his debut instructional DVD which is released through The Rock House Method company. His stellar guitar stylings can also be heard on the release Fretworx a 911 tribute CD released on BHP Music. Balducci is currently recording and working on his follow to his Violet Horizon CD entitled ” 821 Monroe Drive”. Rob Balducci has the pleasure of working with and endorsing Ibanez Guitars, Cornford Amps, Intellitouch tuners, D’Addario Strings, Dimarzio Pick-ups, George L’s cables, Morley pedals, Keeley Pedals, Xotic pedals, Dunlop, Maxon Floyd Upgrades and performs clinics around the world in support of these companies. The musical community has also taken notice of this guitar giant, with scores of global publications loudly singing his praises (most notably Guitarist UK, Guitar World, Young Guitar, and Burn). What remains constant about Rob Balducci is his intoxicating cinematic scope of sounds, skin-tight arrangements and extraordinary six-string dexterity. Music is a highly personal experience for each and every listener, a uniquely exotic adventure conjuring up a kaleidoscope of different emotions and feelings. Like a master snake charmer, Balducci’s music seduces, inspires, challenges, and ultimately takes you onto a new dimension of light and shade. 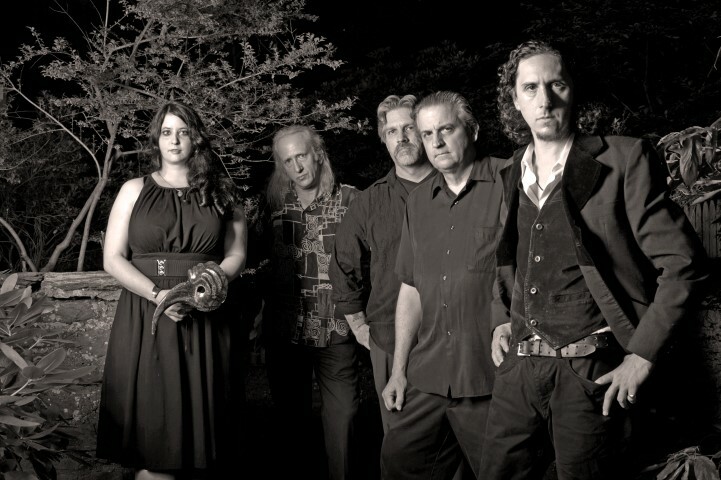 The Red Masque is an original avant rock band from the Philadelphia area. Part art, part alchemy, the group’s experimental songwriting style is both angular and eerie, accented by freeform space rock improvisations, intricate acoustics, dark atmospherics and chunky riffs. Unconventional and eccentric in musical form, the sophisticatedly sinister The Red Masque fuses together such disparate musical references as horror movie soundtracks, rock-in-opposition, progressive rock, experimental, heavy rock, gothic, psychedelia, space rock, and kraut rock. The Red Masque’s compositions are as intense as they are unique. Founded in 2001 by bassist/keyboardist Brandon Lord Ross and vocalist Lynnette Shelley, the Red Masque went through several lineup changes over the years but its intent and integrity has always remained the same. The band’s goal was, and is, to create original music that pushes the envelope of the listener’s expectations. 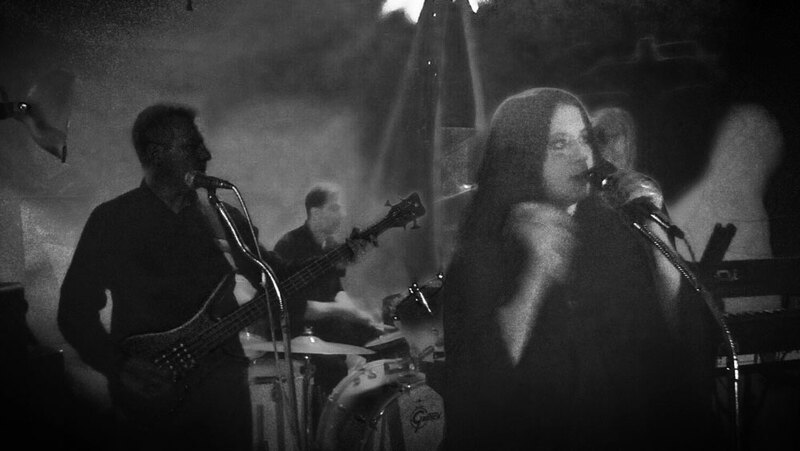 The Red Masque consists of Brandon Lord Ross on bass and keys, Lynnette Shelley on vocals and percussion, Jim Harris on drums, Glenn Kuchenbeiser on guitars and James Tunnicliffe on violin. They are currently signed to Beta-lactam Ring Records in Portland, Oregon. Green Cathedral is a Philadelphia based original Art-Rock band with tangled roots branching deep into post-punk and progressive rock’s musical soundscapes. The band emerged in late 2014 and is playing a series of shows while orchestrating a special multimedia event (tba). The near future will yield recorded music with accompanying video. Green Cathedral consists of Mark S. Walsh (ex The New Creatures) on bass, Lynnette Shelley (of The Red Masque) on vocals, Dean Zigoris (ex French TV, Onnomon) on guitars, John Seidel on keyboards and electric violin, and Matthew Gambino on drums.